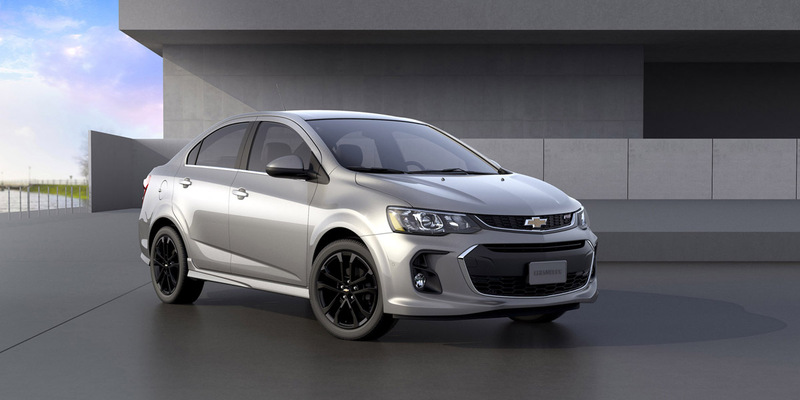 CG Says: The 2018 Chevrolet Sonic is essentially unchanged. The subcompact Sonic is available in sedan and 4-door hatchback bodystyles. The base engine is a 138-horsepower 1.8-liter 4-cylinder that is paired with either a 5-speed manual or 6-speed automatic transmission. Also available is a turbocharged 1.4-liter 4-cylinder that is also rated at 138 hp, but has better EPA fuel-economy numbers and more torque (148 vs. 125). The turbo engine is mated to a 6-speed manual or 6-speed automatic. Available features include forward-collision warning, lane-departure warning, keyless access and starting, heated steering wheel, Apple CarPlay and Android Auto compatibility, and rear park assist. Today’s subcompact cars have come a long way from the cheap-feeling underpowered “econoboxes” of yore, and the Sonic is a great case in point. It boasts a solid, high-quality feel, is fun to drive, and offers many unexpected features. Unimpressive-for-the-class fuel economy is the only significant downfall of this otherwise stellar small car. The subcompact-car class is plenty competitive, but the Sonic has the chops to merit a top place on your shopping list.